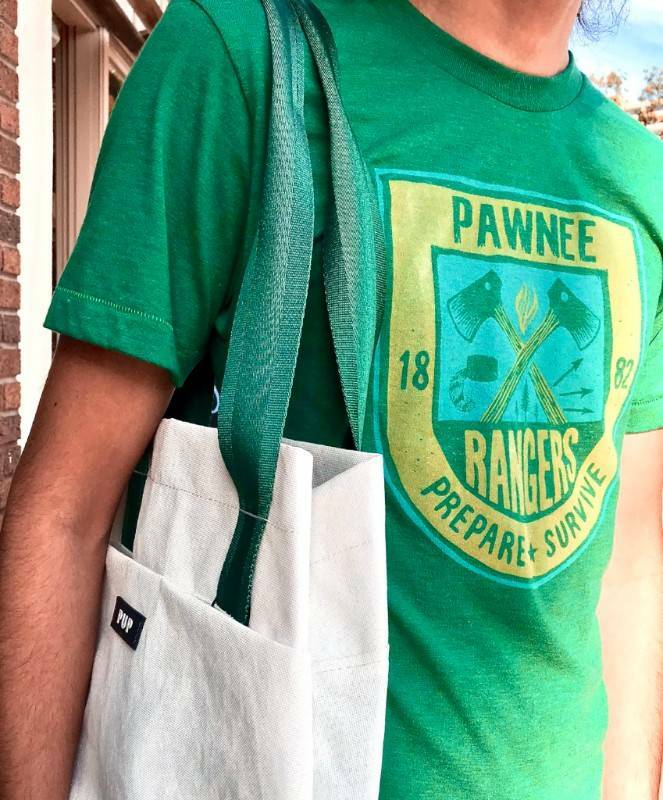 This Pawnee Ranger Tee is the perfect addition to your fall wardrobe and also makes a great gift for your Parks and Rec obsessed friend! Hand printed right here in good ol' Indianapolis, United States of Indiana (USI) continues to impress us with their super charming tees!! Paired with a PUP tote, Mike is totelly ready for a trek through some Indiana State Parks.